Younger adults, ages 18-34, are more likely to favour smartphones for retail activities than any other age group, according to new research. 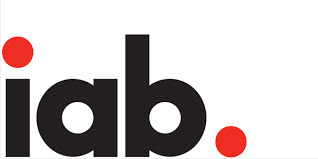 Distinctions that are crucial to marketers and media agencies for reaching different age groups in the U.S. are identified in a study released today by the Interactive Advertising Bureau (IAB), the “IAB Digital Shopping Report,” a custom IAB analysis of Prosper Insight data. The report shows that younger adults, ages 18-34, are more likely to favor smartphones for retail activities than any other age group. While overall, consumers are more likely to purchase using a tablet (35 per cent) than a smartphone (28 per cent), this younger generation is more inclined to make purchases using their smartphones (43 per cent vs. 35 per cent on a tablet). In comparison, those 35-54 are more apt to use a tablet for their shopping needs and are more apt to make purchases on those devices (41 per cent vs. 35 per cent general population). 18-34 year olds are more likely to read a product review on their smartphones (44 per cent vs. 32 per cent general population) and less likely to do so on tablets (32 per cent). They’re also inclined to check prices on a smartphone (42 per cent vs. 33 per cent general population) and are less likely to do so on a tablet (32 per cent). Those who are 35-54 are more prone to use tablets to read product reviews, locate stores, check store hours, and check product pricing (40 per cent vs. 35 per cent general population). Adults ages 55-64 are more than twice as likely to make a purchase on a tablet (34 per cent) than on a smartphone (15 per cent). Consumers 65+ are more than twice as likely to make a purchase on a tablet (26 per cent) than on a smartphone (11 per cent). They are also nearly twice as likely to read a product review on a tablet (31 per cent) than on a smartphone (17 per cent). The report found that half of U.S. adults regularly conduct some form of showrooming, defined in this study as comparing prices on a mobile device while in a retail store before purchasing. The most likely outcome of the typical showroomer after checking prices is to buy in a physical store (57 per cent) – whether at the current retailer’s or another retailer’s store. The next likely scenario is to buy from another store’s website (53 per cent) – either on a mobile device in store or a computer after leaving. Those 18-34 are the likeliest group to showroom (67 per cent), and when they do so they are prone to make purchases from another retailer, whether at a physical store, using a mobile device, or using a computer after leaving. In contrast, over half (53 per cent) of 35-54 year olds showroom, and have an equal likelihood of buying in the store or at a competitor’s store. Showroomers 55+, however, are more apt to simply buy in the same brick-and-mortar retailer where they are engaged in showrooming activities. Use of comparison shopping apps is also a critical differentiator among the generations, with consumers 55-64 most inclined to use one (44 per cent). The age group just below them, age 35-54, are the least likely to tap into those sorts of apps (39 per cent). 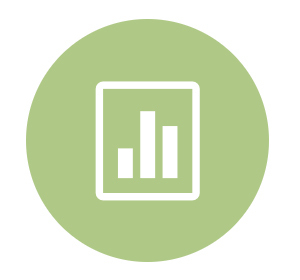 To download the “IAB Digital Shopping Report,” click here. The report is derived from the Prosper Insights & Analytics Monthly Consumer Study (October 2015) of 7276 respondents surveyed online and the annual 2015 Media Behaviors & Influence™ (MBI) Study of 16,228 respondents surveyed online. The studies have a margin of error of 1 per cent, at a 99 per cent confidence level.